The world depression in 1929 rescued the Nazis from oblivion. Prior to the economic collapse, the Nazis controlled only seven seats in the Reichstag. In September 1930, they won 107 seats. In increasing number, Germans decided to relinquish their individual rights in favor of order, and a philosophy of hatred. Who was to blame them? Germans had experienced a lost war, a lost monarchy, a lost empire, a humiliating treaty, impossible reparations, communist revolutions, counter-revolutions, a Soviet republic in Munich, red terror, white terror, border wars in Silesia, a punishing blockade, mass starvation, and foreign occupation. Two severe bouts of inflation (1918 and 1923) wiped out people’s savings and self-confidence. The German citizen without a place in society had nowhere to run. He was shamed. Germans were angry at the world, and Hitler would ride that anger. With bitter experiences to argue the point, many Germans felt that democracy (the Weimar Republic) had failed. Only the Jews did well under democracy. Or so went a strong current of opinion. Authoritarian rule was the wave of the future. Democracy was weak, corrupt, and Jewish dominated, according to the stereotypes of the day. January 1, 1933 – Four weeks before Hitler was appointed chancellor of Germany, our survivor Eva Galler, the oldest of eight children in a multi-ethnic town in eastern Poland, celebrated her 10th birthday. The life was “quiet,” she tells us. January 30, 1933 – Hitler (legally) assumes power in Germany. At noon on January 30, 1933, the elderly and failing President von Hindenburg, fearful of a communist revolution, weary of the political chaos, and manipulated by the unscrupulous clique (which included his son), appointed Hitler chancellor of Germany. 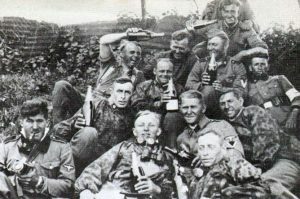 That night the SA and army veterans marched in a torch lit parade up the Unter der Linden to the Reich chancellery. Hitler stood at a window, acknowledging the crowd. Many German Jews didn’t appreciate the danger that Hitler posed. They thought they were German. They had war medals (and wounds) to prove it. “This won’t last one hundred days,” they told one another (and themselves). In the plebiscite of December or November 1933, the Jewish community voted Ja. The day following Hitler’s assumption of power, The Times-Picayune published two articles on the subject, both by The International News Service. One article was on page 1 (top left), the second on page 5. April 1, 1933 – Boycott of Jewish stores. March 1935 – Defying the Versailles Treaty, Hitler announces German rearmament, and unveils the Wehrmacht and Luftwaffe. July 2, 1935 – Anne Levy is born in Lodz, Poland. 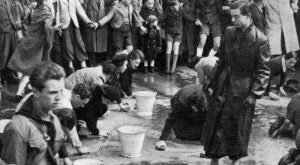 September 1935 – Nuremberg race laws strip Jews of German citizenship. March 1936 – Hitler remilitarizes the Rhineland in further violation of Versailles Treaty. July 1936 – Hitler sends initial contingent of planes to rescue Franco in Spain, and to practice war. November 1937 – Hitler tells his generals to prepare for the war he intends to wage in the near future. November 15, 1937 – Lila Millen is born in Lodz, Poland. The end of World War I devastated Hitler. He was twenty-nine years old and lay in a hospital bed, temporarily blinded in a British gas. What would he do now? The war had been good to him. He had a job, and comradeship. 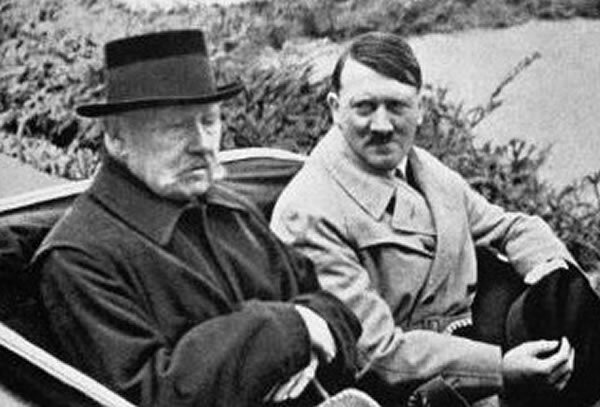 Historian Joachim Fest has written, “In no man’s land he felt at home.” With the armistice Hitler was at a loss for what to do. He returned to Munich where a Soviet republic was declared. He steered clear of the barbaric street fighting between communists and right-wing troops. As a propaganda instructor for the army, he attended the meeting of an obscure political party, the German Worker’s Party. It was reactionary and anti-Semitic, and no different from many political parties of that turbulent time. When Hitler interrupted the meeting and unleashed his scorn of the Hapsburgs, he impressed the gathering. A short time later he joined the party and changed its name to the National Socialist German Workers’ Party (NSDAP), or Nazis. Hitler gave his first public speech in October 1919. He was not the exception but the mirror of his time. His anti-Semitic remarks drew loud applause. He said Jews were responsible for Germany’s defeat. They demoralized the home front with negative comments and black market activities. Hitler (and several million others) claimed Germany was “stabbed in the back” by these (Hitler’s term) “Hebrew corrupters.” They had “snatched” (Hitler again) the leading positions in all walks of life. They were capitalists or communists, and “Christ killers.” The link between Jews and communism, in particular, was formidably lodged in the popular mind. Hitler combined three powerful movements of the 20th Century: nationalism, socialism, and anti-Semitism. 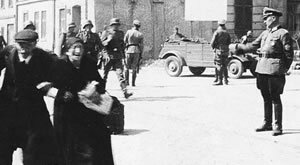 Many German Jews didn’t appreciate the danger that Hitler posed. He would restore order. That was a good thing. The communista needed a thrashing. That was also a good thing. As for Hitler’s anti-Semitism, Jews had lived with anti-Semitism long before 1933. Besides, he wasn’t talking about us. He was talking about the ostjuden. The German Jews had no love affair with the Jews from the east (Orthodox, Zionists, and communists). The one embarrassed the other, and vice versa. The German Jews were of the mistaken impression that they were Germans. Afterall, they had war medals (and wounds) to prove this won’t last one hundred days,” they told one another (and themselves). They had confidence in the German people.